While Colombia has a blessed geographic setting against the Caribbean Sea and Pacific Ocean, the interior offers another world of natural and cultural highlights. 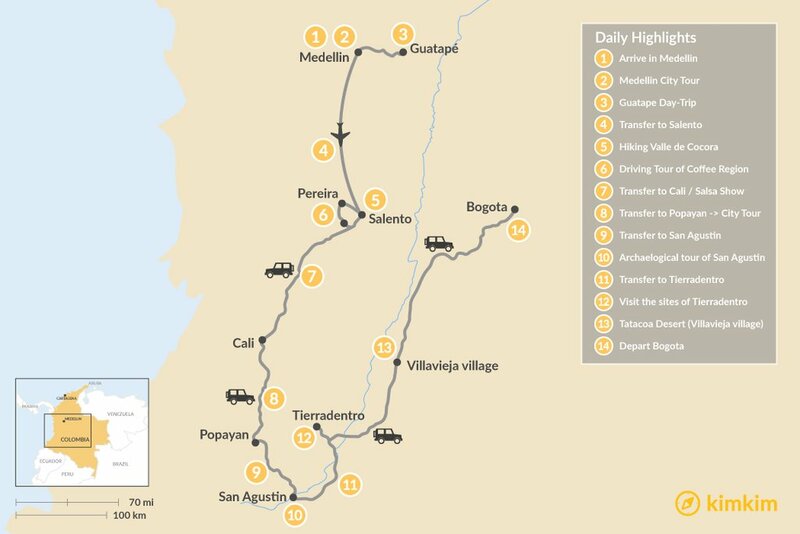 This two-week adventure explores a nice loop including two major cities, rugged Andean mountains, tropical forests, farmland, and even a small desert. Start off in Medellín, a city rising on the world stage with a scenic gondola and year-round spring weather. Then, take a day-trip to lakeside Guatapé before heading to the charming colonial town of Salento for coffee fincas (farms) and hiking in the lush green Cocora Valley. 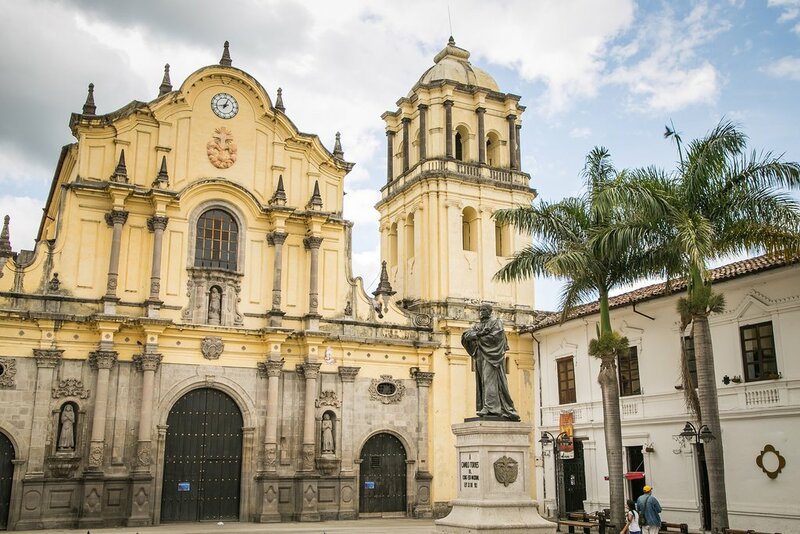 Next, visit the salsa capital of the world, Cali, and the 'white city’ of Popayán, with stunning Baroque architecture. Finally, you'll make your way towards two of Colombia's best known archaeological parks, San Agustín & Tierradentro, as well as the stunning Tatacoa Desert. Colombia is an ideal year-round destination with warm, tropical weather. If you want to skip the high season and crowds (December and January), then February to April is a great choice with dry weather and lower prices. Keep in mind that October and November tend to be the wettest months of the year. Despite its dangerous past, Medellín today is quite charming, with a beautiful mountain setting, friendly locals, and vibrant culture. 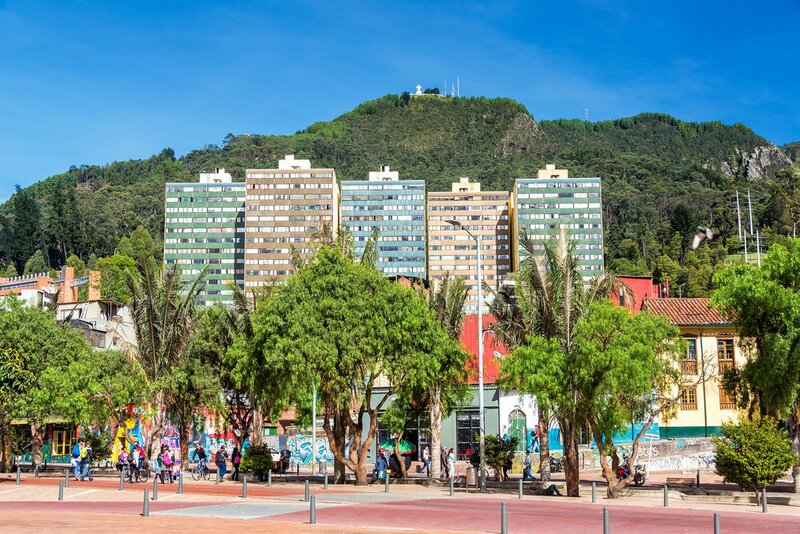 Most of the city's tourism is centered around Parque Lleras in the heart of the trendy El Poblado district, where the best dining, nightlife, and hotel options are within easy reach. You can take a ride on the city's gondola (metrocable) to see the views, or walk around the various parks, plazas, and museums. Either way, enjoy the weather – due to a high elevation near the equator, the city has year-round spring temperatures. Experience a local side of Medellín on this guided tour. This incredible guided tour starts with breakfast and takes you through one of Colombia's most successful urban projects. Named the World's Most Innovative City in 2013, the city has undergone a massive transformation through a number of social and infrastructure victories aimed to include, empower and revitalize some of Medellín's worst areas. You'll take a ride on the metrocable, the city's iconic gondola car system (great views!) towards remote neighborhoods on the valley side. 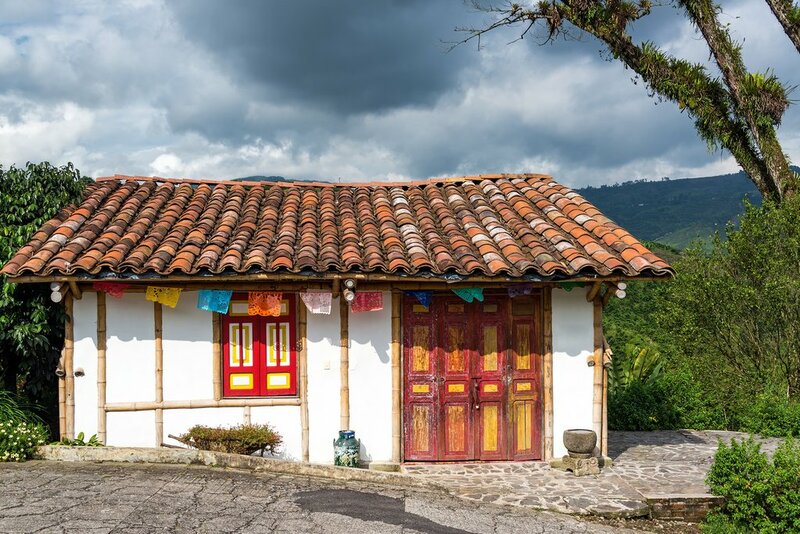 You'll also visit entire areas that have been redeveloped allowing the 'Paisas' (people from Medellín and Antioquia – the department of which Medellín is the capital) to enjoy their city once more. After descending once more on the metrocable, you'll have a typical Paisa lunch at one of the city's well-known restaurants. The rest of the afternoon and evening is yours to enjoy at leisure. Colorful architecture in the Zona Cafetera. Today, you'll fly to Armenia and will be transferred to the beautiful colonial town of Salento, surrounded by bright green Andean mountains. Despite a rise in tourism over the past decade, this magical place retains an old-world charm with colorful Paisa architecture, musicians on street corners, and an incredible range of handicrafts. Near the town center, you’ll find yourself in view of the distinctive Quindío wax palms, which are among the highest trees in the world reaching a height of up to 70 meters. Valle de Cocora is the perfect place for day hikes. Near the charming colonial town of Salento, this remarkably lush (and thankfully, protected) cloud forest gives the phrase "verdant green" new meaning. Add in the soaring, skinny wax palms – Colombia's national tree – which cheerfully dot the mountainous landscape, and the Valle de Cocora makes for an outstanding hiking opportunity that you won't want to miss. When you arrive, there are two possible routes, so it depends on how much time you have and how much hiking you want to do. For those that want more exercise and adventure, there's a 5-6 hour loop which takes you through the forest, over wooden suspension bridges and along steep hiking tracks. It's from this vantage point you will find the best views. For those with less time, you can experience the Valle de Cocora by heading straight for the trees for a 1-2 hour hike. Either way, you'll capture some amazing photos. Explore the colonial streets of Salento. Start your day with an in-depth walking tour of the quaint colonial streets of Salento. Founded in 1850, the town is a shining example of the typical guadua-bamboo influenced architecture with brightly-colored facades. The surrounding Andean views and the Cocora Valley add to the beauty of the town. Coffee and trout fishing are big industries in Salento and the surrounding region. 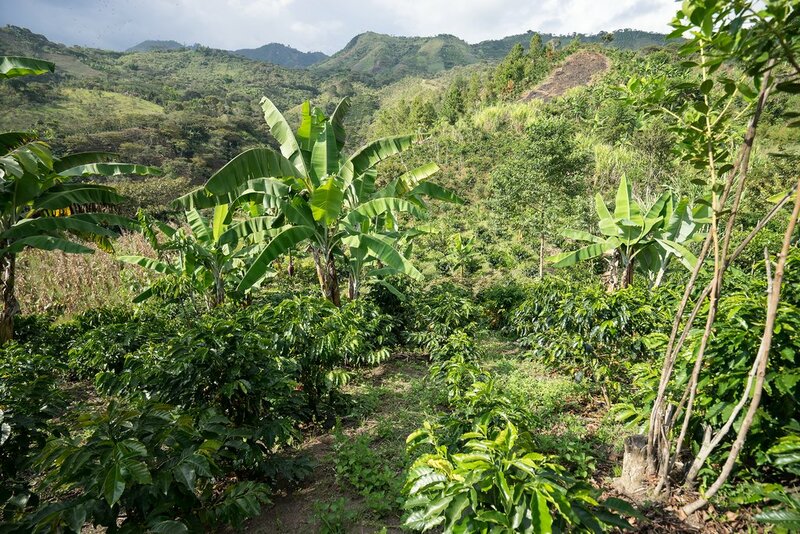 In the afternoon, take a driving tour of the Coffee Triangle stopping at coffee farms or "fincas" along the way. Watch or partake in Cali's vibrant salsa scene. Cali, Colombia's third-largest metropolis, is legendary for its dance-centric nightlife. This hot, vibrant and buzzing city of seduction has a plethora of salsa clubs that boom long after midnight, where welcoming locals can be found dancing in parks. In fact, prepare to hear foot-tappingly infectious music everywhere and all the time from the suburbs to the supermarket. Here in Cali, you can join a Salsa 101 class (as a newbie or a refresher) before heading out to cool hole-in-the-wall bars like La Topa Tolondra, or friendly yet full-on nightclubs like Club TinTinDeo to show off your moves. 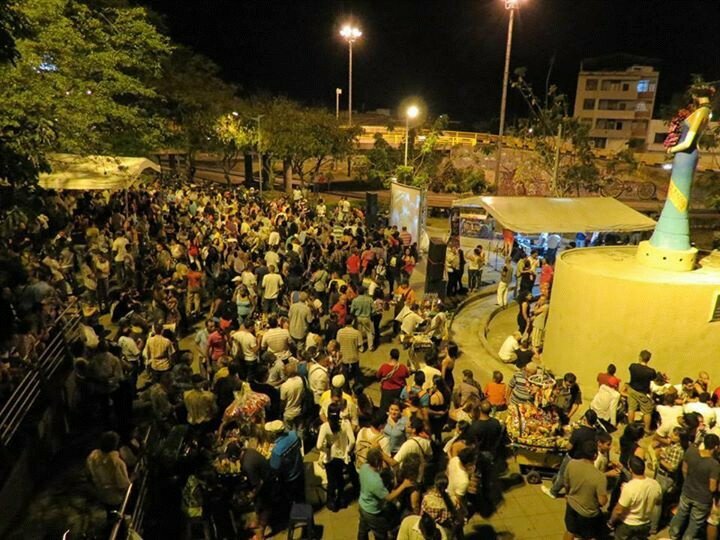 Lastly, every month there is a free open-air dance party called Salsa al Parque – the event is held on the third Saturday of the month at Antiguo Club San Fernando. 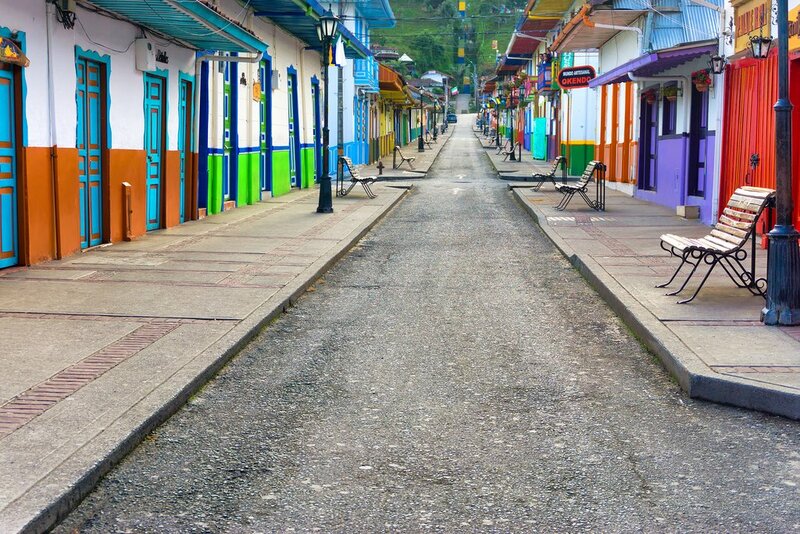 This is one of Colombia's most picturesque, multicultural, and well-preserved colonial cities. Surrounded by undulating countryside, Popayán offers beautiful, Baroque-style architecture with impressive churches and museums like the Popayán Cathedral, the Museum of Natural History, and Colonial Religious Art Museum. The historic center is compact and can be explored on foot or by bicycle. Make sure to check out Cauca University (the nation's most prestigious university), Caldas Park, and numerous coffee shops and great restaurants – Popayán is a city that has been recognized by UNESCO for its gastronomy. An example of San Agustín's pre-Colombian remains. After a leisurely breakfast in Popayán, you'll drive to San Agustín in the Andes and stay overnight. San Agustín is an area known for its incredible archaeological park – a UNESCO World Heritage Site, home to numerous pre-Columbian remains spread over several locations. An in-depth tour of the park. Today, you'll visit the wild landscape surrounding this archaeological park, home to the largest group of religious monuments and megalithic sculptures in South America. 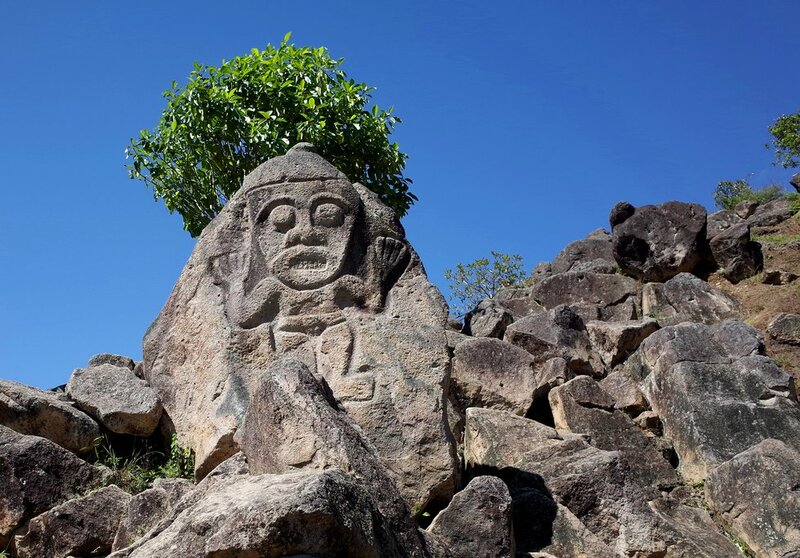 Created by two indigenous cultures, Magdalena and the Cauca, the park’s mysterious statues are recognized as a UNESCO World Heritage Site. Mystery surrounds the site, though it is believed that the statues were carved between 50-400 A.D. and meant to worship the dead, probably the elders or chiefs of the region. A visit to this park and surrounding scenery is well worth a visit – arrive early to allow time to hike between the areas of interest. Today, you'll travel north towards another stunning UNESCO World Heritage Site – this time in Tierradentro. 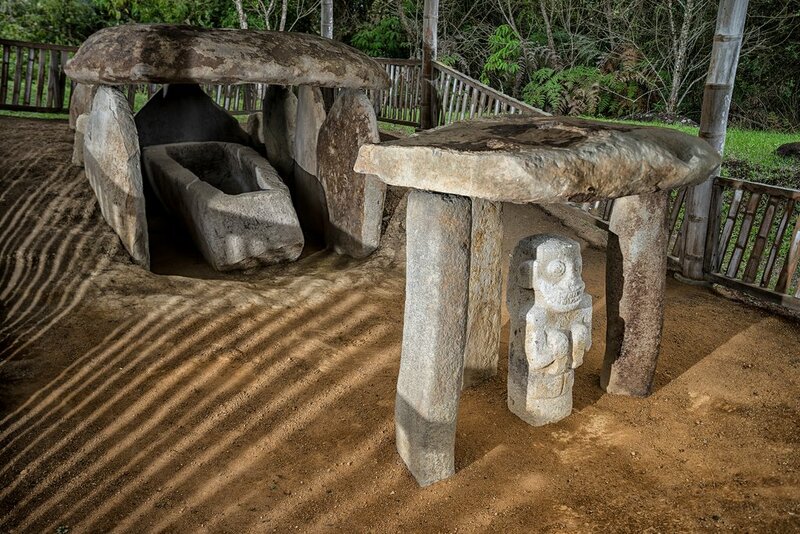 Though it's not as popular with tourists as San Agustín, this peaceful archaeological park is well worth a visit for its elaborate underground tombs. 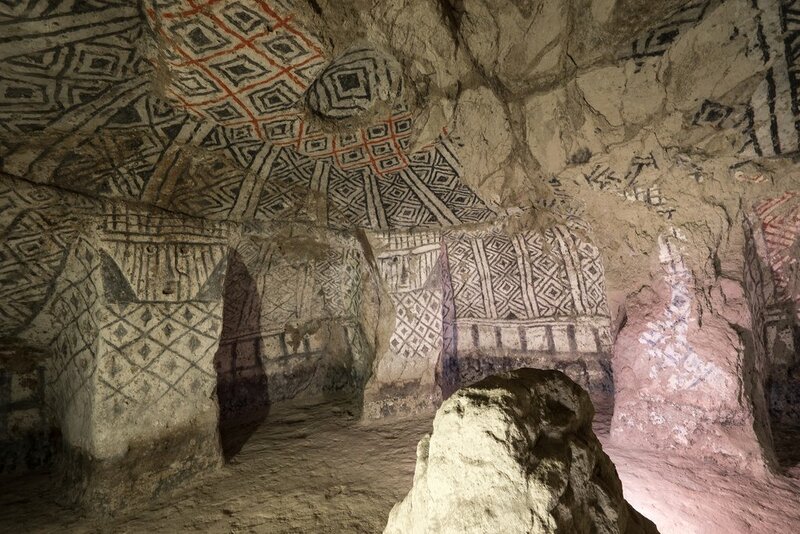 Today, you'll have an opportunity to explore Tierradentro Archeological Park, famous for its painted underground burial chambers. A UNESCO World Heritage site, these subterranean tombs were created around 700 A.D. and rediscovered and excavated between 1930 and 1995. Located off-the-beaten-track at the of some rough roads, you'll discover a peaceful place with friendly locals. Archaeologists have discovered about 100 of these unusual funeral temples, the only examples of their kind in the Americas. Wear your walking shoes to take advantage of paths that take in major tomb sites amid gorgeous mountain scenery. Spend some time exploring the rugged Tatacoa Desert, the Badlands of Colombia. Today, you will arrive in Neiva where you’ll be picked up and transferred to the stunning Tatacoa Desert. 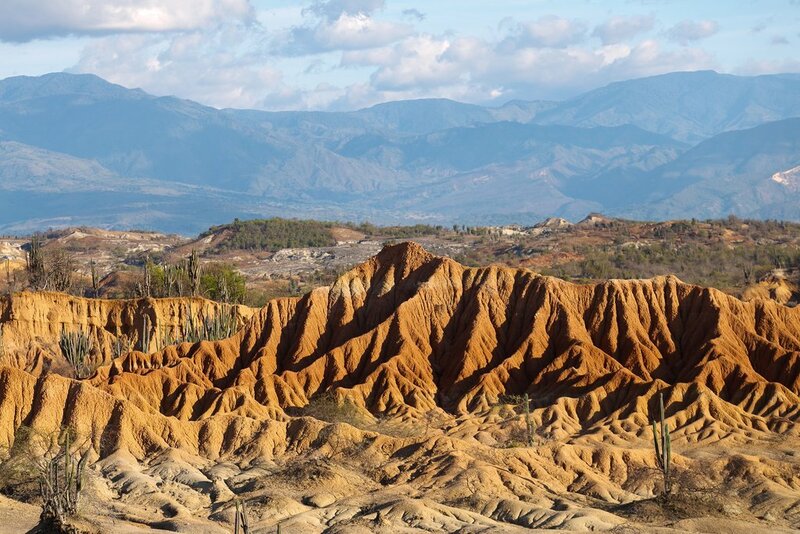 Rich in fossils, this is the second largest arid zone in Colombia and is great for hiking and horseback riding through rugged rock formations. Since this is a desert, it's better to start in the morning and get back to your hotel during the hottest hours of the day. Some of Neiva's hotels have thermal-spring-fed swimming pools – a relaxing way to cool off after a dusty trek. Stargazing is another reason that travelers flock to Tatacoa. You can visit the astronomical observatory after the sun goes down, located in front of the Cuzco area. Due to the lack of light pollution here, the view of the night sky will be one that you will not forget! Walk around Bogotá for street art and restaurants. It's time to say farewell to Colombia! Enjoy your last moments in Bogotá with a leisurely breakfast, city stroll, and/or souvenir shopping. A representative will meet you at your hotel and drive you to the airport for your return flight home. Nichols was an amazing guide. He was very knowledgeable, great communicator, available at all times via WhatsApp, Kimkim site email, and personal cell. It was our first time traveling to Colombia and relying on a local host to fully arrange a trip to Providencia gave us comfort and reduced our burden of researching and planning. We saved days by going with Kimkim and following Nicholas’s recommendation. Providencia was the most memorable part of our trip and every suggestion Nicholas made was worth it. Kimkim team, especially Yoos, was very helpful. I got sick two days before our trip and contacted Nicholas and Yoos and both very extremely supportive and gave me several options including cancellation with full refund. Luckily I got better and made the trip. If you are looking for trust worthy, easy to work with, knowledgeable, deliver as promise group KimKim is the best.